Stone’s Enjoy By Double IPA is a great way to educate the general public about the importance of freshness when it comes to IPA. A good IPA will last for about 2-3 months before it becomes skunky. It can be so significant that a beer that was really well done at first is hard to enjoy six months down the road. With the Enjoy By series from Stone, Stone gets the beer out to stores within a week of brewing so that you know it is going to be fresh while you drink it before the enjoy date. Rich grapefruit and citrus flavors from the hops come through good and strong. This beer is light on the malts compared to the ordinary Stone IPA that I find a little too strong on the malts. The delicious flavors are made even better because you know it is going to be fresh when you drink it. I buy this over other similar beers because I don’t always know how fresh my IPAs are. Hopefully this will get other breweries to start posting enjoy by dates on the bottles. Freshness is so important that I love to buy IPAs from smaller breweries that don’t last long enough to become bad. 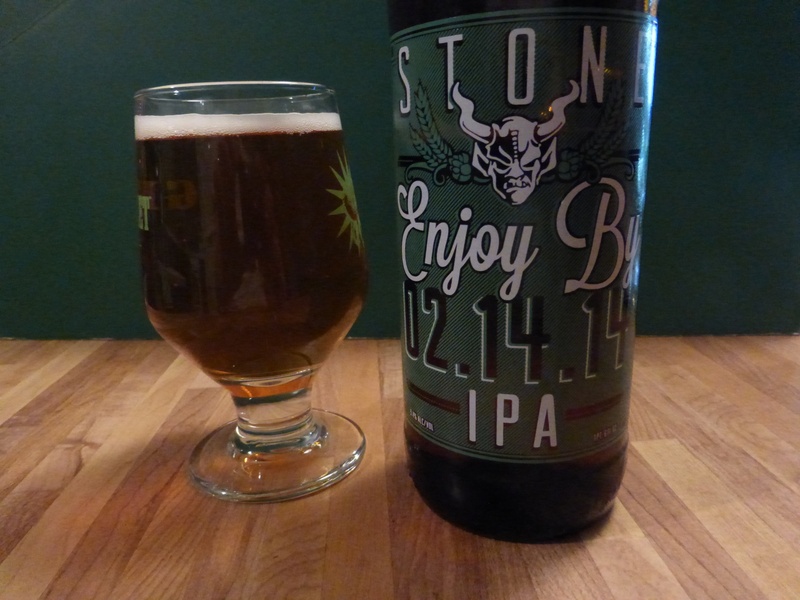 If you love hops you probably already wait with baited breath for the next batch of Enjoy By. If you haven’t tried this beer yet, you will find it to be a delicious adventure in hops.